When I joined the Caltech Alumni Book Club, I didn't realize what the theme of the book club would be. After this book and the last one, I can say with a good level of confidence that the theme is "has to do with Caltech." And really, that's expected and probably in the book club description that I didn't read when I joined ("A book club? SQUEEEEE! Join!"). The book club reads more slowly than I read, which is to say, more slowly than the maximum library checkout time, so I've been finishing these books faster than the book club. Not a great thing when I want to be participating in the book club. This book is, unsurprisingly, about the gravitational wave experiments, the people involved in it from the beginning, the stumbling blocks, the successes, and the failures. It's a great scientific tale that I enjoyed reading about. That some of it occurred while I was AT Caltech reminds me of just how f---ing oblivious I was when I was at Tech, as well as how oblivious I must still be about my world. I want to believe I'm more aware, and more appeciative, of things around me. NO IDEA IF I AM. That this book was published before LIGO succeeded is delightful. That LIGO succeeded is even more delighful. I enjoyed this book, enjoyed reading about people who love science as much as I do, and had the courage to pursue that love. 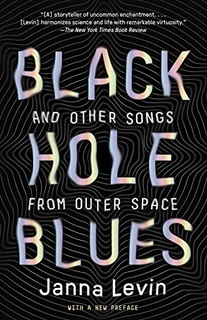 I recommend this book to anyone who has a slight interest in the biographical information about the LIGO project, black holes in particular, or science in general. Fun read. “Anyway, I was totally gaga, crazy in love. I didn’t think of what the consequences of that would be. Of course, the girl went off with somebody else. You can never fall in love — I mean, you’re not allowed to do that. You know how it is. So I came back." The hasty construction of the Palace reflected an unpreparedness the government intended to amend in the wake of World War II. Roughly shaken out of introversion, the country did not have an army of trained scientists and engineers, and this deficit was believed to hamper military research. Under the pressures of the war, incited by that urgency, technologies were constructed as suddenly as the building, if with higher production value. Which is, sadly, HOW THE UNITED STATES IS BECOMING NOW. Both with its anti-immigration policies and with its attack on science and the truth. This saddens me beyond belief. In the quirky climate of the Plywood Palace, the notorious academic pressure to publish or perish also abated, so that Rai could adhere to simple principles and high standards. Rai was bold and practical and effective but not politically ambitious. He pursued experiments out of raw curiosity, indifferent to his career trajectory. He says, “I didn’t even think of the tenure clock. It was not in my consciousness. I was a professor, they had just hired me, and I was going to try to do the most interesting thing I could think of. The hell with it.” His unfettered attitude let him explore and take risks. Love this. I wish everyone who loved the hard sciences could be like this. Wheeler turned to relativity as he emerged from the nuclear weapons program. He helped to design and to use the plutonium production reactor in 1942 until the end of the war. ... despite his friendships with the intellectual émigrés, including his close friendship with Albert Einstein, he found the rumors of German atrocities impossible to believe. He didn’t believe them. It is impossible to see what you do not want to see, and harder to believe. I understand this desire to want to believe people are fundamentally decent. He was not entirely against the anticommunist fervor that purged academics from their ivory-tower ranks for crimes of silence either. Kip was among the first generation of physicists bred on relativity. He had the good fortune to mature in a time of significant unsolved astrophysical problems that awaited relativity for their unlocking, and he had the brilliance to make the most of his good fortune. Kip perceived paranoia and ignorance as driving factors in the Cold War arms race. But Wheeler’s controversial involvement in the escalation of the thermonuclear weapons program was an undeniable part of the intellectual context he offered. Ron cultivated the aura of a scientific Mozart — Rai’s analogy — a childlike spirit attached to a wondrous mind that just seemed to emanate astonishing compositions. Everyone around him was forced to play Salieri, unfairly catalogued as a plodding technician in the shadow of Mozart’s genius. Talented scientists felt miscast by Ron in the lesser role. The laboratory was his private Exploratorium. The atmosphere was good in Scotland, a culture he better understood, that he perceived as more open and collaborative. He felt the scientists, even the students, at Caltech were discouraged from collaboration, were unwilling to work together, were more competitive. “I sensed some jealousy on his part,” I say. He was advised he could get a $ 10 million allowance in a payoff for the libel, but it would take at least five dedicated years that Joe was not prepared to spend in court. “It’s a question of what you want to do with your life,” Joe says. "... A great man is not afraid to admit publicly that he has made a mistake and has changed his mind. I know you are a man of integrity. You are strong enough to admit that you are wrong. If you do this, your enemies will rejoice but your friends will rejoice even more. You will save yourself as a scientist, and you will find that those whose respect is worth having will respect you for it. ..."
“Science is a self-correcting process, but not necessarily in one’s own lifetime,” she tells me rightly. Twenty-three years her senior, he always insisted she do what she wanted and needed to do. These partners are the best partners to have. “This takes a lot of patience,” I say, not proud of the obviousness of the statement. “Are you patient?” I ask, undeterred. “No, and neither are you,” he says. “Yes. You keep finishing my sentences,” he says, not unpleasantly. “Ron was very difficult to deal with. At the time, I had a lot of respect for Ron, of a different kind. I began to understand Ron better as a scientist. I also found out why he was impossible to deal with: He doesn’t think the way you or I think; he thinks in pictures. And he doesn’t remember what he thought the day before, so you could never make a decision. You could watch his process. He’d go through the same logic about a decision on how big the laser beam should be or how many mirrors there should be—I don’t know, pick anything in the interferometer. And you would discuss this with him, and you would get to the same point, and he would agree that his viewpoint was not right—or maybe he wouldn’t quite agree—and then the conversation would start all over again the next morning, from exactly the same place. And we’d come to the same conclusion. This would go on day after day; you’d never come to a resolution. That was one of the troubles." Rai had his own ideas about the instrument, about design implementation. But he had to put his own ego aside, not without some personal suffering, to get the thing done. He worked on site selection, or an industry study, tested mirror coatings, built his own laser. I f---ing HATE this. DO NOT tell me to come see, tell me what the f--- you want me to know. YEARGH. Maine had invested heavily to support the site selection. Mitchell had fought hard for LIGO, but Maine was also scientifically the better site. Vogt eventually learned that the turn was specifically political. The Republican White House made the decision to punish Mitchell, the Democratic majority leader of the Senate. Robbie’s skunkworks management style was motivated by his archetypal hatred of authority. His contempt for executive supervision often drove him. He would accept an administrative job due to this loathing. To avoid this recurrent problem, Robbie was determined that there be no one above him, not even the NSF. They were to deliver the funds and stay out of the operation. There would be essentially no bureaucracy and no obligation to justify the rolling decisions the scientists made, to the NSF or to anyone else. “It’s a good prejudice to have,” I congratulate him. Many Germans suffered under the Nazis, he wants me to understand. “Other Germans were not victims like the Jews, but life under the Nazis was indescribable,” although he tries. “At that time the Nazis had a very powerful method of discouraging people from opposing them. When they arrested a man they arrested his wife also.” The orphaned children of political prisoners were placed in cadet schools, then sent to fight. A fourteen-year-old could be charged with an entire troop of child soldiers. A child had “a body that could stop a bullet and that’s all they needed.” The children would have no military training. They had pickaxes and shovels. When the invasion happened in 1944 and the British broke through, the German Army issued bazookas and rifles and would send these “kids” into combat. None of them would survive. Kip has heard this before, the accusation of optimism, which he patiently refutes with references, documents, and published graphs. Jerry was cross that all of the major projects over the past many decades were vetted by the Decadal Survey, but not LIGO. He was upset, as were others, that money was spent on tunnels and not on graduate students. On this issue Kip protests, “A key point is that LIGO was being funded out of the Physics Division of NSF, not the Astronomy Division. The Astronomy Division was never in the loop in any significant way; it was always Physics. Although Kip outgrew the tedious moralizing, the sexism, and the religiosity of his Mormon roots, the suggestion was that he never shed the urge to proselytize for a righteous cause and LIGO was that cause. Why was LIGO funded despite the staggering cost and the tremendous risk? Because Kip was a very charming and very convincing advocate. He was also very thorough scientifically, clear in his analysis and reviews of the state of the art, and respected for his integrity. Kip could make you believe. In the beginning of Vogt’s term as director, Drever says he was not entirely unhappy, although Vogt did make many organizational changes and, unconcealed, did cart around a difficult temperament. The operation overall became more professional, more effective, and substantially funded. At first Drever thought Vogt was “quite okay,” although he was sore that not all of his technical decisions were implemented immediately. He complained that it was hard for anyone else on the team to fully understand the status of operations at all levels, Vogt so tightly controlled the flow of information — Ron’s impression, not, for instance, Kip’s. I struggle mightily in environments where this is acceptable behavior, hoarding information that is needed for everyone to do their jobs well (cough, cough, TWITTER, danm, Arnaud, asshats both of them). Ron attributes the techniques he learned in the United Kingdom to Rutherford’s influence. He cut corners without compromising performance, did many experiments very quickly, skipped extraneous details, and moved very fast. His practices should not be misinterpreted as slipshod. And there is no doubt that Ron invented an impressive collection of ingenious experimental techniques and designed significant original elements still crucial to the machines today. He protests, defensive, that his methods had put them ahead. He could work twice as fast as traditional groups and, always frugal, for less money. Forbidden by Vogt to do so, he presented anyway. Maybe Vogt hoped Drever would just resign, go back to Glasgow, as any person with a more conventional and reactive psychology might. Ron’s unconventional mentality could have made him oddly resistant to ordinary manipulation. Push him unremittingly in one direction and he could still move unpredictably in another. Apparently his primary reaction to the pressure was an impassive bewilderment instead of a spiteful resignation. He lived for the work, for the lab, for the implementation of his inspired ideas. LIGO was centered at Caltech. There was nothing else for him and nowhere else to go. Jamie says, “It’s a kind of celebrity.” Part of Rana’s charisma is related to the social power of indifference. He’s not generally indifferent, though. He listens to other people sometimes with uninterest, true, and that could be interpreted, wrongly, as diffuse indifference. He might occasionally remark on someone’s contribution to the conversation, usually with mild derision, his voice so smooth and calm you’re expecting consensus, and then the meaning slowly resolves as mockery. Part of Rana’s social power lies in his seeming indifference specifically to external validation. He doesn’t need for you to like him, self-esteem wise. I doubt this self-assuredness is humanly possible, but the impression, the illusion created is powerful. In sum total the apartments say, “I don’t plan on being here forever,” even when the resident unexpectedly stays in that noncommittal arrangement for years. Two or four or five, traveling from that base, never quite settling in, never quite committing. Or my last five years, one could say. Scientists are like those levers or knobs or those boulders helpfully screwed into a climbing wall. Like the wall is some cemented material made by mixing knowledge, which is a purely human construct, with reality, which we can only access through the filter of our minds. There’s an important pursuit of objectivity in science and nature and mathematics, but still the only way up the wall is through the individual people, and they come in specifics—the French guy, the German guy, the American girl. So the climb is personal, a truly human endeavor, and the real expedition pixelates into individuals, not Platonic forms. In the end it’s personal, as much as we want to believe it’s objective. "It is sad that I’m no longer part of Caltech now…. I’ve had many setbacks but every setback, somehow life compensated me again for it in some way. At the moment I got fired or if I had to step down or… it was very hurtful. It was devastating… but there were always people at the right moment who gave me an assist. Every time there was a change in my life, there was always a human being involved to help me. I was lucky."